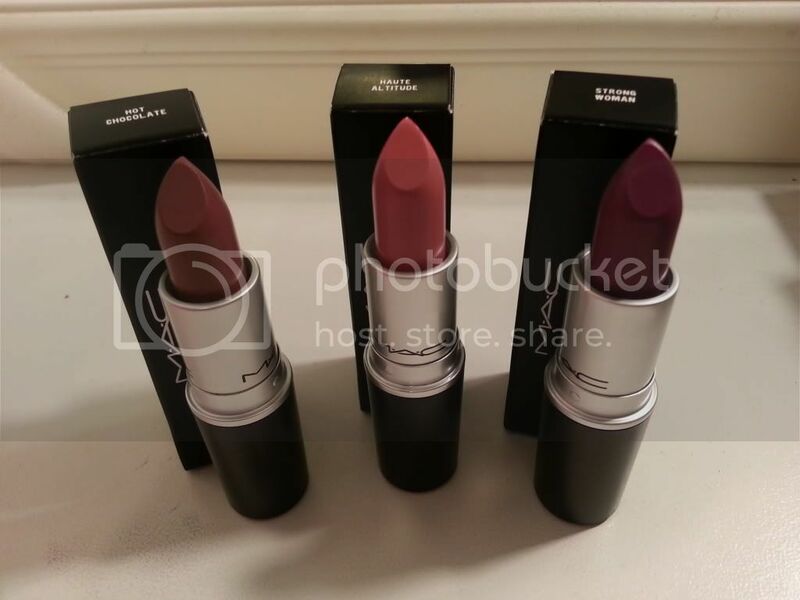 I can’t think of a better way to wake up than to a fresh box of MAC lipsticks! The rest of my lipsticks finally arrived this morning and I’m more excited than ever to have my complete Apres Chic and Strength haul. Both collections were filled to the brim with limited edition MAC goodness that I couldn’t pass up on. I picked up a Stereo Rose Mineralize Skinfinish, Cozy Up and Party Parrot lipsticks for the first part of my haul a few days ago when I stopped by my local MAC store while impatiently waiting for my online order to arrive. I honestly wished I would have waited for the store release because I am completely in love with the three lipsticks I ordered online! They are beautiful colors! I ordered two lipsticks from Apres Chic and one from Strength. The first is Hot Chocolate which is a super pretty plummy brown shade with a satin finish. The second lipstick is Haute Altitude, a warm light pink shade with an amplified finish. The last is a beautiful violet shade with hints of magenta called Strong Woman. 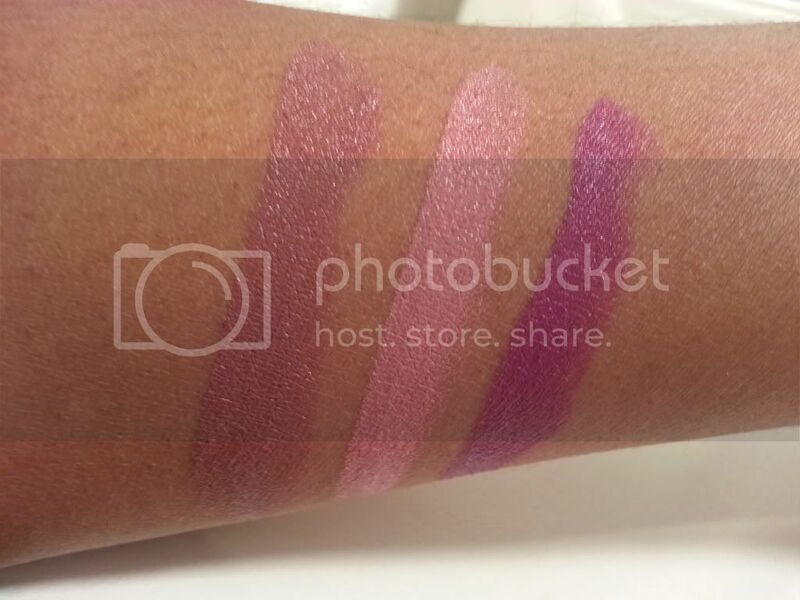 Check out the swatches! If you’re able to check out these collections I highly suggest you do so! They’re absolutely gorgeous and there’s something for everyone in both. Apres Chic can be found at any MAC location but you’ll have to head to your local MAC store for the Strength collection. If your store happens to be sold out of what you want remember you can always call another store and have it shipped to you. Happy hauling! Seriously,I am SO happy you put these pics up here. THANK YOU, THANK YOU!! It’s SO freaking hard to find brown skinned swatches!! I bought hot chocolate yesterday, and I’ve been trying to find Haute Altitude b/c idk… I’m afraid of bold colors lately. Did you try calling another MAC store to see if they had it in stock? You can even contact stores out of state and have them ship it to you. Hope this helps!